It’s finally spring here in Australia! I LOVE this time of year as it means I can break out the pretty colours I put away for winter, dewy skin and enjoy a fresh-faced look. One of the biggest beauty trends this spring is the no-makeup look and a twist is the barely there makeup look as I prefer a bit of colour in Spring. To achieve this look it doesn’t actually mean one doesn’t wear makeup though! For me it’s about enhancing your features for a fresh faced look by working with colours that suit your skintone. We want to enhance rather than conceal our natural beauty! Because I’m quite fair I love using peach and pink tones and this look is often my go to for spring. 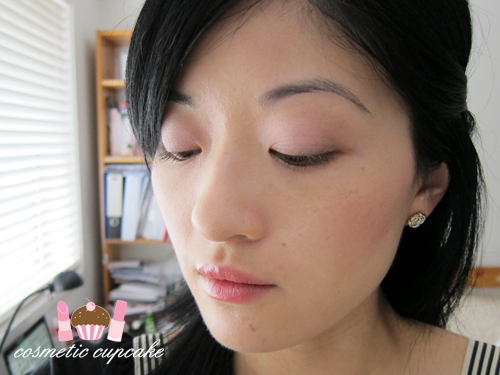 Great skin is always the perfect canvas to start any makeup look but especially for the barely there makeup look! It’s a huge confidence boost when you can leave the house wearing minimal makeup or having only used just a few products. The Clearasil PerfectaWash can help you put your best face forward every day without makeup with the Super Fruit Extract and Soothing Plant Extract formulas to help soothe and protect against blemishes for visibly clearer skin. Something I think all of us ladies covet! 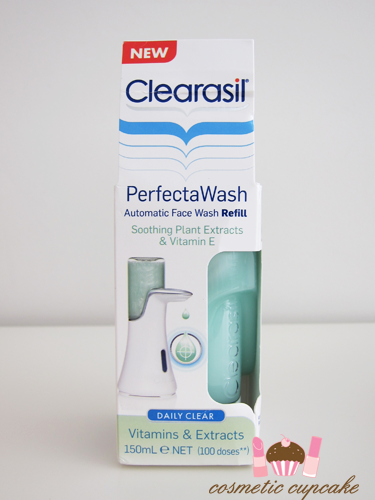 The Clearasil PerfectaWash dispenses just the right amount of cleanser using the unique automated face wash dispenser that delivers exactly 1.5mls of product each time. The automated dosage system prevents drying out the skin using too much product and active ingredients can irritate the skin and cause further problems. My skin is still a little on the dry side from winter and the formulas contain Vitamin E and antioxidants which are known for their soothing properties so are gentle enough for daily use. They’re dermatologist tested and with the combination of pimple fighting and beneficial ingredients it’s perfect for all young adult skin types to help attain clear skin. I love a dewy finish in spring so I used the Clinique Even Better Foundation in 01 for a slightly heavier coverage than I would normally use as I find can get away with not having to use concealer when my skin is behaving well. It evens out my skintone and covers any blemishes or acne scarring well. I set it with Face of Australia Translucent Powder and I lightly swept MAC powder blush in Hipness on the apples of my cheeks for a just pinched look. 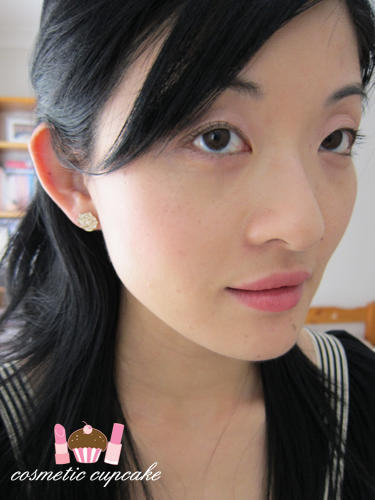 I couldn’t resist a bit of highlighter so I used Benefit Watts Up highlighter on my cheekbones! For the eyes, I primed my lids using Too Faced Shadow Insurance and applied a very soft wash of pink using MAC eyeshadow in Ego and highlighted my brow bone using MAC eyeshadow in Shroom. I used a teeny bit of the dark brown shade from the Stila eyeshadow trio in gold glow in my outer corner and added Illamasqua Powder eye shadow in Synth to the centre of my lid. I lined my eyes lightly using Urban Decay 24/7 Glide-On Shadow Pencil in Juju and 2 coats of Dolly Wink Volume mascara and one coat of Clinique Bottom Lash mascara in black. For the lips I used Chanel Rouge Coco Shine in Flirt for a sheer peach lip. 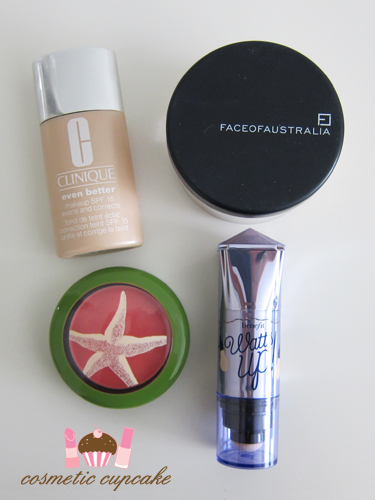 I prefer using these lipstick-balm hybrids in the warmer months for a more natural look. Leave me a comment with your answer below for your chance to win! The competition is open to Australian residents only and ends at 5pm AEST on October 28th 2012. The winner will be chosen by Nuffnang. See Terms & Conditions here. I haven't tried the clearasil perfectawash, but I see so many good reviews that I really want to. I like the idea of a measured dose of cleanser best. The measured dose is really handy and a great feature of the product. No wastage! Thanks Chloe! Glad you love Synth too. It's such a gorgeous colour! Hi Chelle! Long time no talk! I hope you are doing really well. 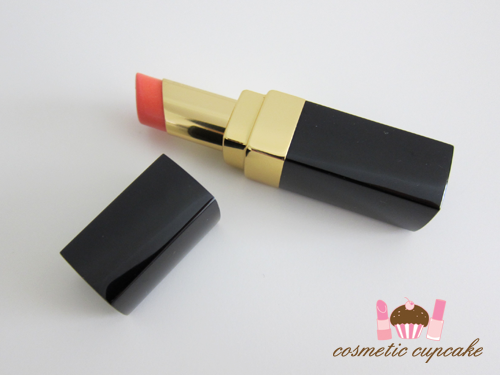 :) Very envious of the Chanel lippie, looks like a lovely coral colour for the oncoming Spring weather! It's definitely something the whole family can use! 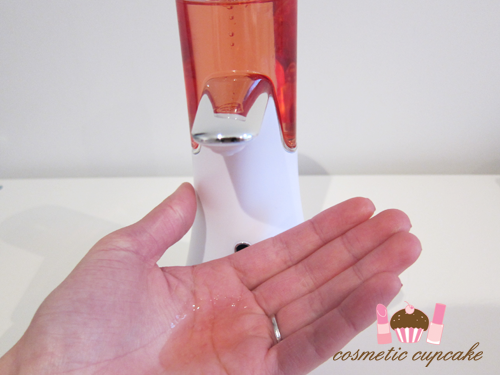 Because it's a dispenser it's hygienic just like you say and a product that can be shared. Good luck for the giveaway! Gorgeous girl! You look flawless as usual. *blush* you sweet talker you! <3 Meh as if you would scare people - your skin is looking mighty fantastic and you should be natural and proud! it's finally spring! yayyyy! Love the look by the way! Oh I am exactly the same with tubes/tubs etc! The dispenser guarantees the right amount every time so no wastage. I'd try anything to keep my pimples at bay! I haven't tried the perfectawash, but I'd really, really like to - I always end up using way too much product, which is a terrible waste. 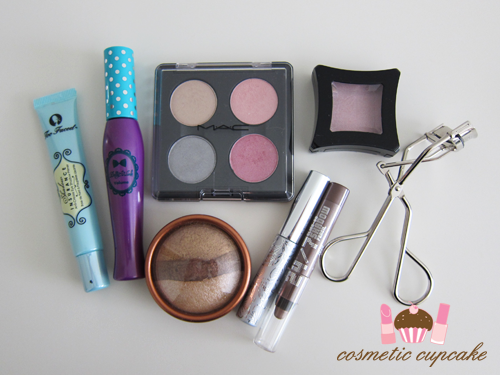 Love the makeup, and you look incredibly gorgeous :D.
Thanks for entering Raeze and for your lovely comment =) I always end up using way too much product also. No issues with wastage with the PerfectaWash! I hadn't heard about the PerfectAWash before this so obviously haven't tried it, but it looks good. I'm thinking it'd be handy for when you've got wet hands/face and don't want to get everything else wet squeezing product out of a tube. Anyway, love the look! I enjoyed the pop of purple one you did last time too. Thanks for the giveaway!! It's really handy when your hands are wet - no need to fumble around with opening lids etc! So glad you enjoyed the pop of purple look too! Hi Mer, thanks for your really honest feedback. I really appreciate it! Everything I write on my blog is ALWAYS my own 100% honest opinion regardless of whether I purchased a product myself, it was provided for review, gifted to me or if I'm remunerated for a post. My blog has been my baby for the last 2 and a half years - I would never, ever ruin its integrity. I pride myself on writing honest and in-depth reviews so I'm really disappointed to hear that you have to wonder whether I'm being influenced because of compensation. Please do refer to my disclosure policy at the top also! I take on the occasional sponsored post because this enables me to improve my blog and helps to pay some of the costs incurred with blogging. Blogging is a f**king labour of love and I spend way more money on it than I ever could make in return! I also spend in excess of 30hours working on my blog per week on top of my fulltime job as a nurse (and wedding planning at the moment!) and it's literally my 2nd job. But I love it so it's not work! I turn down many sponsored post and product opportunities because I am very selective with what I choose to align my blog with. I think long and hard before taking anything on because not only is it a sh*tload of work but I have to ascertain whether or not the brand or product is a right fit for me and my blog. Before taking on this Clearasil post series I discussed it with my sister, my fiance and also my close friends. It's not something I take on lightly and without the occasional sponsored post there's no way I can grow my blog and improve it. I hope you understand! Thank you so much for your continued support Mer! Kiko Holographic 400 and a swap!